This is a lovely hotel with very helpful staff who do everything to help make the holiday good (including appologising for any bad weather...). They speak English, French and German between them and run a lift service to and from the gondola station, even though it's only a shortish walk. The hotel is in a quiet residential area which is interesting to walk round and has really cheap shops. It's only a short walk to the touristy busy bit of town. We had a great time and would recommend it. Turn the radiator off when you get here - it's boiling hot in the hotel! The breakfast and dinner buffets were really good. If you are a meat-eater you will be in heaven; but even a vegan could find stuff to eat - lots of good fruit and salad. 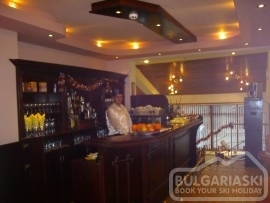 Thank you BulgariaSki! 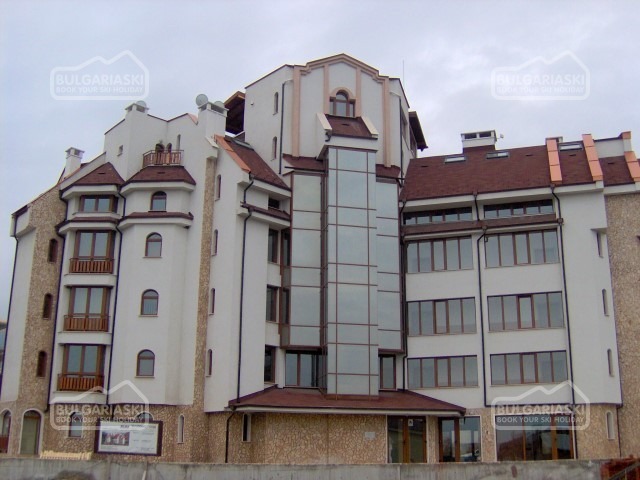 Please, post a comment on Viconi hotel in Bansko (Bulgaria).